A research and advocacy policy think tank, CUTS Ghana is calling on the Electoral Commission (EC) to reconsider its decision to compile a fresh register independently from the National Identification Authority (NIA) database. Speaking before a cross-section of the press, the country director for CUTS Ghana Mr. Appiah Kusi Adomako said “whilst the constitutional and statutory mandate for compiling electoral register in the country is the exclusive preserve of the EC, the Commission must be reasonable and practical in the light of what can be gleaned from the NIA database. Though the NIA work is still ongoing, it is estimated to be completed by March 2020." The Ghana Card captures lots of information including digital addresses which that'sC and its IT Department can extract every information needed and do an exhibition for people who want to change their polling station to do so. 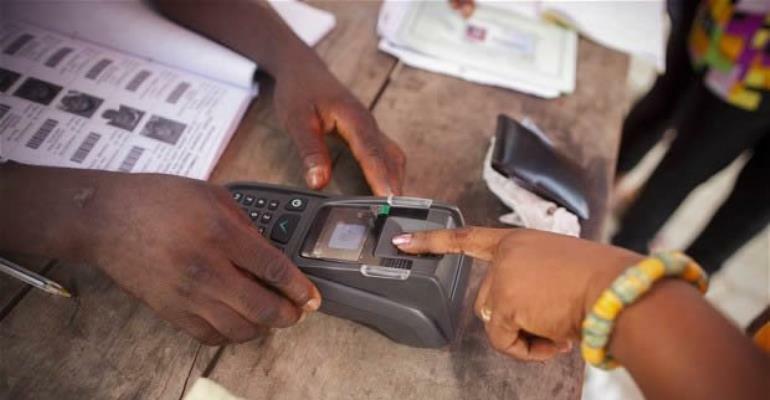 “In 2012, it cost the nation an amount of GH¢148,942,378 for compiling the biometric voter registration. Fast forwarding to 2020, considering the rise in voter population and adjusting the 2012 cost to inflation and depreciation of the cedi, a conservative estimate can put the proposed 2020 register at GHC 350 million Ghana cedis,” Mr Adomako said. “With the huge investment and the fun-fare surrounding the Ghana Card , it comes as a worry why the EC is rushing to compile its own register for the 2020 election ahead of the completion of the Ghana Card. “Just this same week, the NIA took delivery of sixty-two vehicles, sixty motorbikes and two generator sets to facilitate the nationwide registration and issuance of the National Identification Cards,” he added. CUTS Ghana is worried that a nation with limited resources seems to be dissipating taxpayers’ money on “needless ventures”. “The estimated cost for the new voter list if scrapped can do a lot for a post-IMF bailed-out country. The money can build 15 turn-key district hospitals that would have an Out Patient Departments, theatres, adjunct clinical service, accidental and emergency unit, in-patient services, maternity, mortuary, stores, and staff housing units among others or it can build 1,500 CHPs compound. In the field of education, it can build 1,250 six-unit classroom blocks across the country. “It is instructive to note that the NIA has a Technical Committee comprising of a number of statutory public service institutions involved the issuance of identity cards or interested in data management.